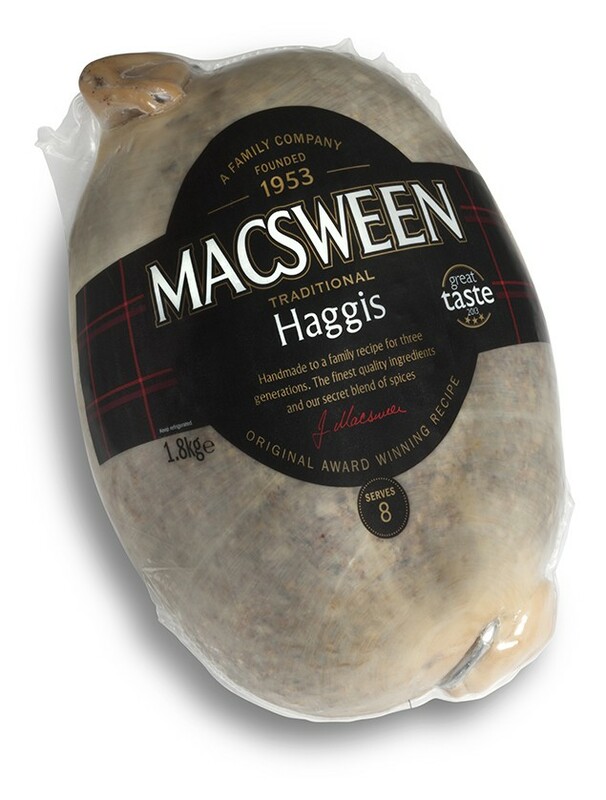 Macsween chieftain haggis, also known as a ceremonial haggis, is the crowning glory of a Burns Night Supper. With its kidney-esque shape and outer animal skin (the only Macsween haggis to have this), it is the type of haggis Scotland's national poet, Robert Burns would have expected to see when he penned his famous poem ''Address to the Haggis"
What role does the chieftain haggis play during Burns Night? Learn more in Burns Night; a guide to holding a Burns Supper.